Anti-union groups are trying to trick our members into giving up their rights, but we are sticking together. We must all do our part to protect our rights and protections. A great way to start is to stay a union member and urge your co-workers who are non-members to join our union. Our members earn more, have better benefits, more paid time off and more job protections than non-union workers in similar job titles. Higher wages: Union members earn 27 percent more than non-union members. 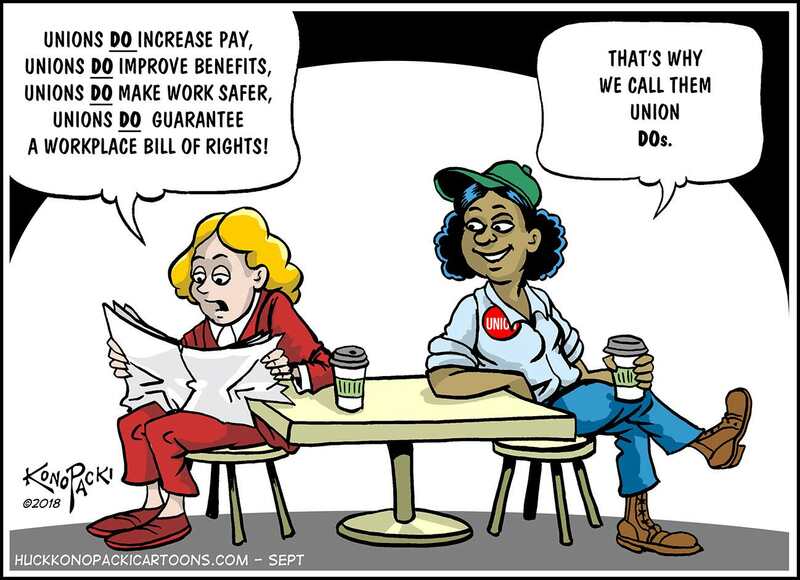 Health Insurance: 94 percent of union members have access to employer-sponsored health insurance, as opposed to 67 percent of non-union members. Retirement: 94 percent of union members have access to employer-sponsored pensions as opposed to 66 percent of non-union members. Paid Time Off: 84 percent of union members have access to paid time off, as opposed to 77 percent of non-union members. These numbers illustrate what we’ve known for years — that unions provide a path out of poverty. An Economic Policy Institute study noted that when unions are strong, they often lead to improved pay and benefits for non-union workers, particularly in states with higher union density such as New York. Specifically, non-union employers have often raised their own standards of pay and benefits to attract a qualified workforce. By sticking together and staying union, we can not only make our union stronger, but lift our communities.